Happy almost February! whoo hoo! Like I've said before, decorating for Valentines Day is one of my favorite times of the year, so are you ready for this years Valentines shelf decor? Good, because I've got some for ya! Honestly, this display is probably the simplest I've ever done; and I LOVE it! Clean, fresh, bright and of course... pink! I always like to decorating with numbers so having an advent calendar in my display just makes me happy! I used some twine that I found at Walmart in the craft and coloring section and strung the tops of my folded bags over them; using a small clothespin to keep them in place. To secure the twine I used two small clear command hooks and simply tied the twin around each hooks end. 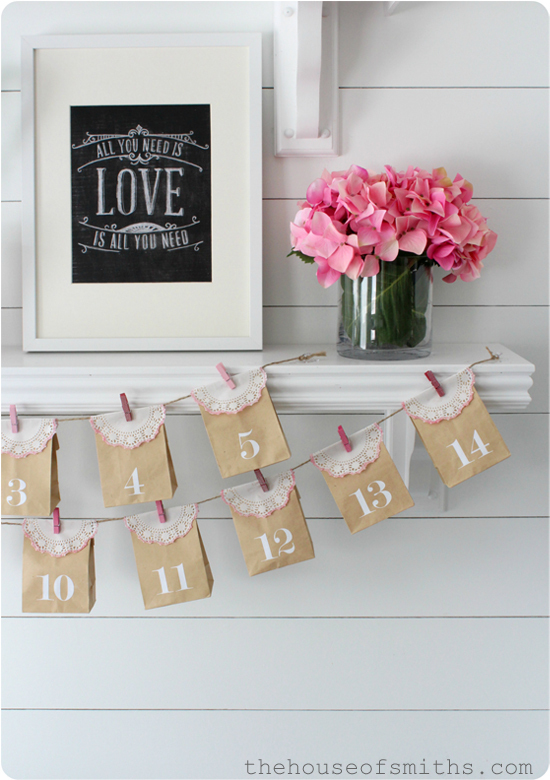 You can find full instructions for the Valentines advent calendar in our last post or just click on the photo below. You all know that I go crazy over chalk art typography, so of course I had to include an 8x10 Caravan Shoppe print in my display. I had the glass vase and picked up these pretty pink hydrangeas at Target. 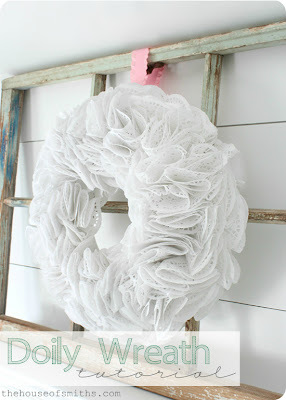 Because I loved the look of my doily wreath so much, I wanted it to stand on it's own. Using an old window frame that I had, I just looped a piece of ribbon around the window and then secured it with sewing pins to the back of the wreath form. The pink cups and greenery wrapped hearts were purchases from Tai Pan. I thought they added a nice Valentines touch, without being too literal and if you missed our Instagram post from a few days ago, I went to a flea market and found some fun decor for our kitchen table. 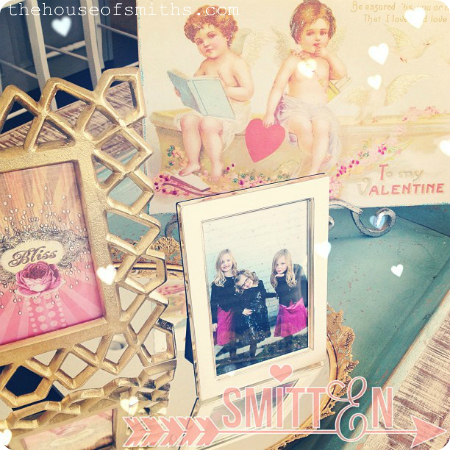 A few vintage cupid signs and a mirrored gold tray were a couple of my finds! 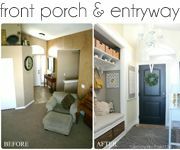 I LOVED decorating this space before our little makeover, but enjoy it even MORE now! The white planked walls give me the perfect blank canvas to work with and all the natural wood elements ground the space so well. We're still waiting on a few more things to completely finish off the space and also need to talk window treatments with you... so stay tuned! 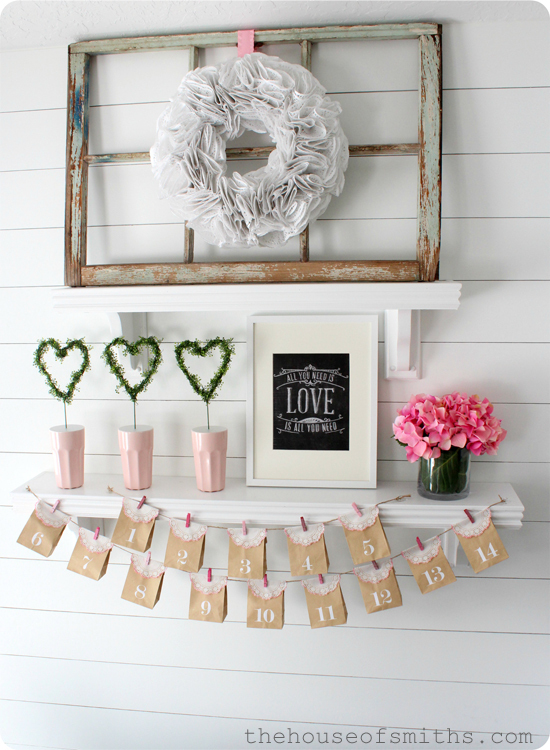 If you missed last years Valentines decor, you can find the post about it below, along with a few other projects that might work well for you while decorating for Valentines Day this year! So pretty and fresh Shelley, I love it all. Pinning!! Oh my gosh! You always have the cutest ideas! I just love your blog - it's definitely one of my favorites that I read daily!! And please, consider donating to this fabulous cause. Use the code INSPIRE within the next four days and have your donation doubled!! I LOVE your kitchen shelves!!! I always like to see what you have for each season. 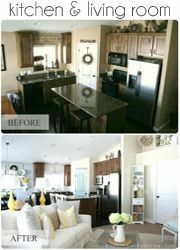 Hopefully, you feel that imitation is a high form of flattery because I really want to put these in my kitchen as well. 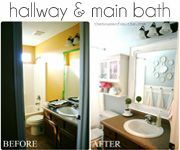 I have found that I am not a fan of visual clutter so I have stripped my kitchen down a good bit and this would be such a great way to inject some personality (a lot of personality!) 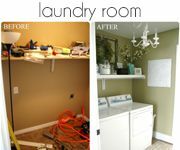 but in a neat, tidy, uncluttered way but with BIG impact! Thanks for the inspiration. I smile when I see House of Smiths in my inbox! I'm going to visit my Mom this weekend and I think we are going to try to make that wreathe! Thanks for the tutorial! Looks great! I love the doily wreath and the window. I love it! I really like the BLISS photo on the table. Did you create that yourself or buy it somewhere? I love it! I especially love the BLISS photo on your table. Did you make that or buy that somewhere? It looks great! I really like the cups with the hearts growing out of them. We're doing something advent-calendar-inspired, as well this year. Check it out if you get a chance. Loving your shelf decor! We even checked out the one from last year. Thanks for sharing! I just love this. . . all of it. Your plank walls are dreamy, and your shelves are always fun. Thank you so much for sharing your talent with us! So pretty! 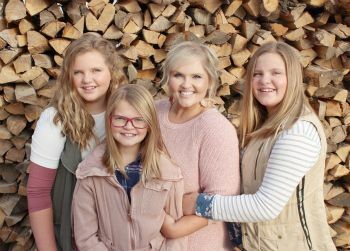 I bet your girls love living in your home! As you said, it is a simple arrangement, but simply beautiful! 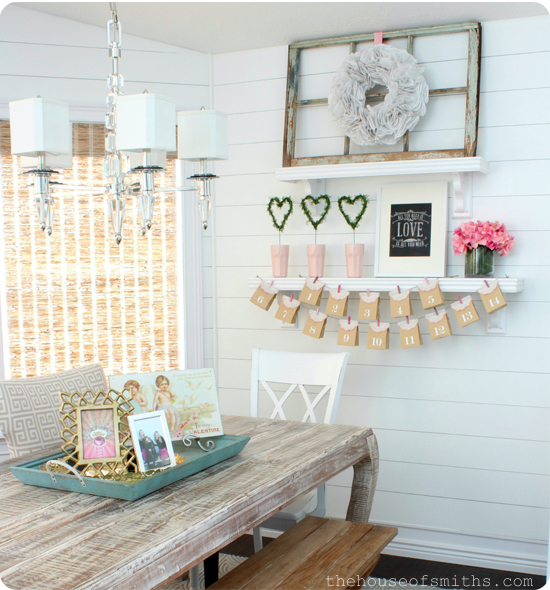 I love your breakfast nook ... the bench, table and chairs, AND the Valentine's day decor. Love it!! Love it all! I'm stopping at IKEA on the way home tomorrow to buy those pink glasses and remake those heart topiaries!!! TOOO cute! Looks so calm and fresh. Well done you. 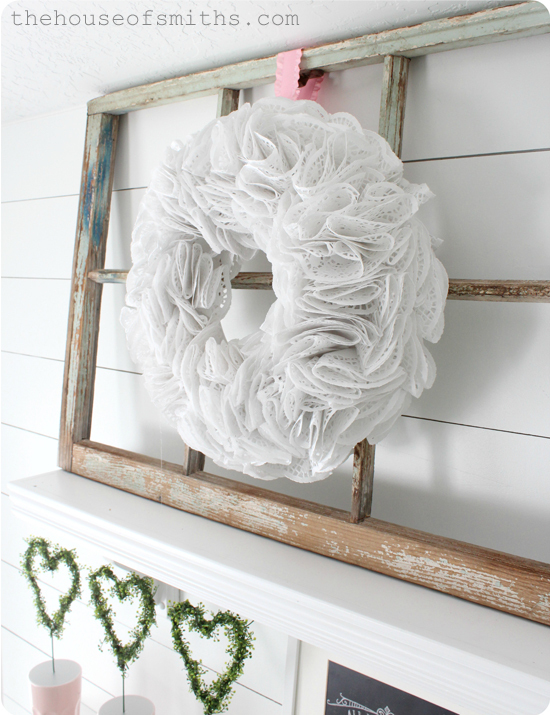 I actually thought your lovely wreath was tulle, until you said doily. Love it, off to dollarama to buy some and give it a whirl! Thank you! Aww, you know how I love seeing your cute shelf grouping all decked out for each holiday. It's my fav! Where is the flea market in Salt Lake? I have no idea! Thanks!